Mrs. Nola Jean Boyce, age 77, passed away Wednesday, May 2, 2018. She was born in Reed City, Michigan on August 25, 1940 to Harold & Violet (Nix) Marsh and married Darrell Boyce on November 26, 1965. Mrs. Boyce had been employed as a Journalist for Osceola Herald in Reed City and the Big Rapids Pioneer. Nola retired from Grand Haven Community Education. Nola was a member of United Methodist Church of the Dunes where she sang in the church choir and played in the bell choir. 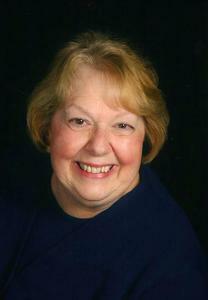 Nola was a loving soul who loved her friends and family and enjoyed reading, refinishing furniture and being a musician. Husband, Darrell; sons, Todd (Emily) Boyce of KY, Mark Boyce of Grand Haven, Paul Boyce of Grand Haven; sister, Joan (Donald) Totten of Big Rapids; brothers, Jon Marsh of Cadillac, Steve (Brenda) Marsh of Reed City; many nieces and nephews. She was preceded in death by her parents. Friday, June 8, 2018, 2:00 pm with visitation one hour prior to the service at United Methodist Church of the Dunes with Rev. Eldon Eldred officiating. MEMORIAL: Harbor Humane Society.